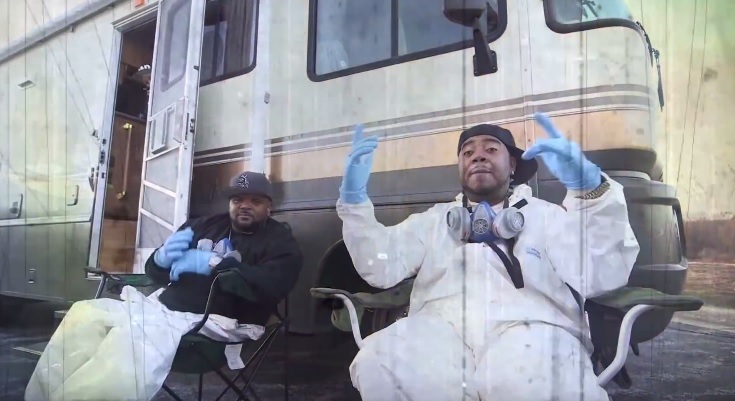 Sci-Fi meets Breaking Bad in Twista’s music video for his new single, “Beast,” featured on his upcoming EP, Back to The Basics. The visual finds the Chicago rapper dropping rhymes at the speed of light while decked out in a hazmat suit. Images of planets, formulas and space also appear in quick transitions while the lyricist shows off some his science inspired wordplay. Twista’s new music video is definitely worth a view. This entry was posted in Music, Video and tagged back to the basics, beast, breaking bad, chicago, hip hop, Music Video, rap, sci fi, Twista. Bookmark the permalink.